How Does RSS Feed help to rank better in Google? What is RSS and How To Use RSS in SEO? RSS stands for Rich Site Summary and is standard for syndication of content and spreads the web content like new feeds headlines in XML format. RSS feeds submitted to RSS Submission directories boost the search engine rankings. Containing updates of your websites such as updated content, images etc, People can subscribe to the website’s RSS feed get free traffic. What are the Benefits of RSS in SEO? The updated content reaches your traffic immediately,which is great for contstanly updating your target audience about your traffic. 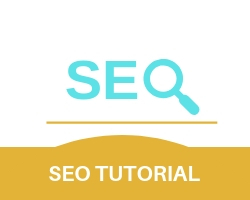 RSS is used in SEO to attract new Readers and traffic. It is great for increasing the credibility of the website. Focus keywords placed in RSS Feeds can increase the ranking of the website. RSS Feeds increase popularity of the website.